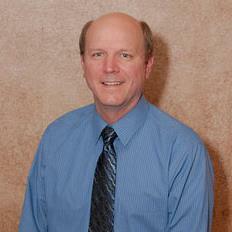 Dr. Charles Sannar was born and raised in Gridley, CA. He met his wife Kathy, of Paradise,CA, while they were students at BYU in Utah. They have been married for 32 years. After finishing dental school in Chicago, they returned to raise their children in Gridley where their roots run deep in the farming communities of Northern California. They have 5 children. His two oldest daughters are working as dental assistants. He enjoys playing golf, cycling, off-road motorcycle riding, fishing and woodworking. He spent many years working as an auto mechanic with his father, Ray, at Shade Tree Garage. Dr. Sannar is an experienced professional of 24 years, who has established himself as one of the premier dentists in the field. His expertise in the field and passion has consistently challenged and motivated him to deliver the care you are looking for. He continues to increase and enhance his knowledge through advanced training each year. Thanks to his advanced skills in dentistry and his hand-picked staff of professionals, your health and smile is their greatest concern. Dr. Sannar graduated from Northwestern Dental School in Chicago in 1991, where he received training in a variety of disciplines. He has completed numerous training programs that complement his academic career, which focus on CEREC​ cosmetic crowns, CT guided implant dentistry, oral surgery, laser dentistry, sedation dentistry, and cosmetic and general dental care. The extensive and broad educational experience of Dr. Sannar has helped shape him into one of the most skilled dentists in the region. His work continues to attract patients from various regions, even fellow doctors have experienced his care. In addition to his educational success, Dr. Sannar has solidified his standing through a number of recognitions and honors. He is a certified member of the American Dental Association, the California Dental Association, a member of the American Academy of Cosmetic Dentistry and American Academy Of Implant Dentistry. His office provides comprehensive care to communities, including the areas of Live Oak, Yuba City, Marysville, Gridley, and Biggs. Supported by a rich educational background and certified credentials, Dr. Sannar is pleased to provide you with the highest quality of care!